What do you do when the thing you love most doesn't seem to love you back? That's the central question of Bishops' latest release, Dream Easy. The title seems to have a double meaning to me. 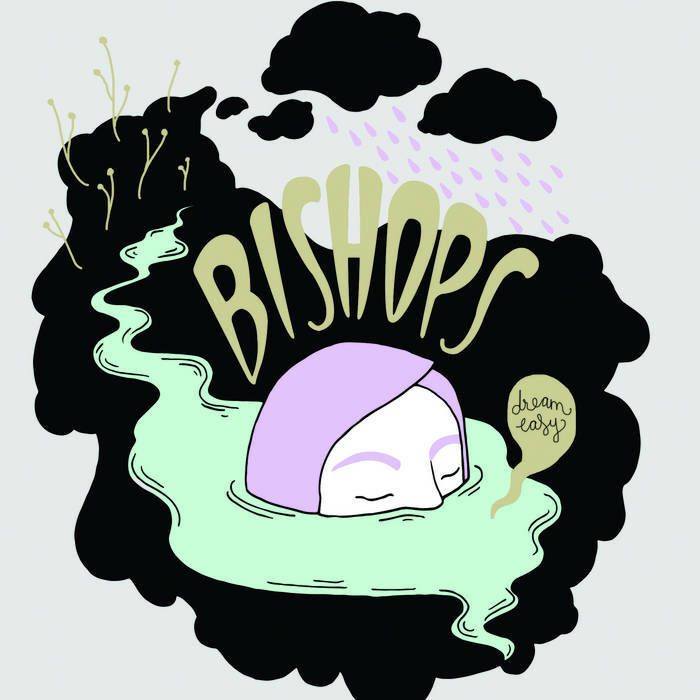 Bishops' wall-of-sound approach to fuzz rock is easy to zone out to in the best of ways, bringing to mind early 90s acts like Bob Mould and Miracle Legion. It also feels like an ironic commentary on the distance between the goals we envision for ourselves and our lived realities. You threw it all away, why? Depending on what you're going through, this could be a tough album to listen to. Bishops doesn't try to answer the question -- at least not this time around. Dream Easy revels in being in the thick of it, even as it's a cathartic release of anguish. For capturing an important moment in everyone's lives so thoroughly, Dream Easy is already one of my favorite albums of 2016.